The Karesuando Wilderness fixed blade offers a traditional Swedish design for hunting and outdoor survival. It has an oiled curly birch handle, that has been hand carved to provide a comfortable, ergonomic grip. A satin finished Sandvik 12C27 steel blade provides a strong cutting surface that offers excellent edge performance and corrosion resistance. 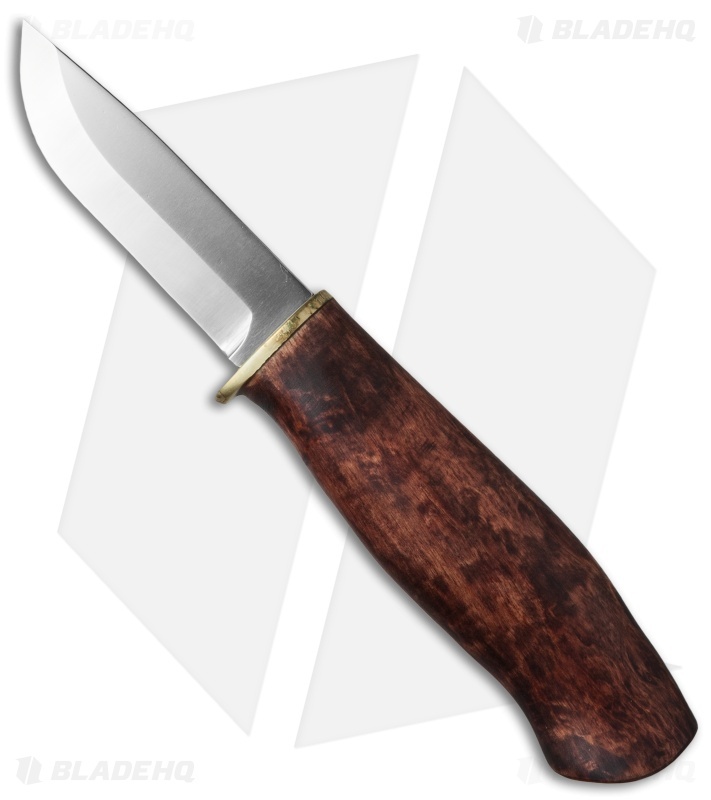 Add the rustic handmade quality of a Kaersuando fixed blade to your collection today! Sandvik 12C27 Steel for strength, performance and corrosion resistance. Curly birch wood handles provide an elegant yet sturdy frame for the knife. A brass bolster guard further adds to the collectible appearance. 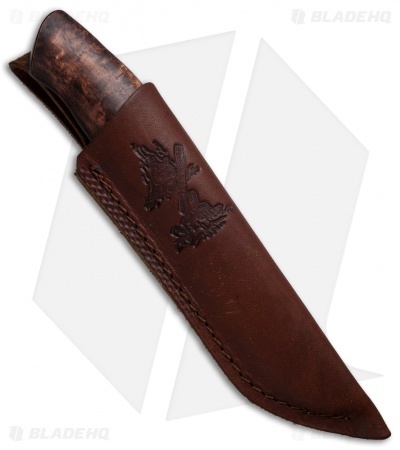 Includes an embossed leather sheath with a protective insert for storage or display.